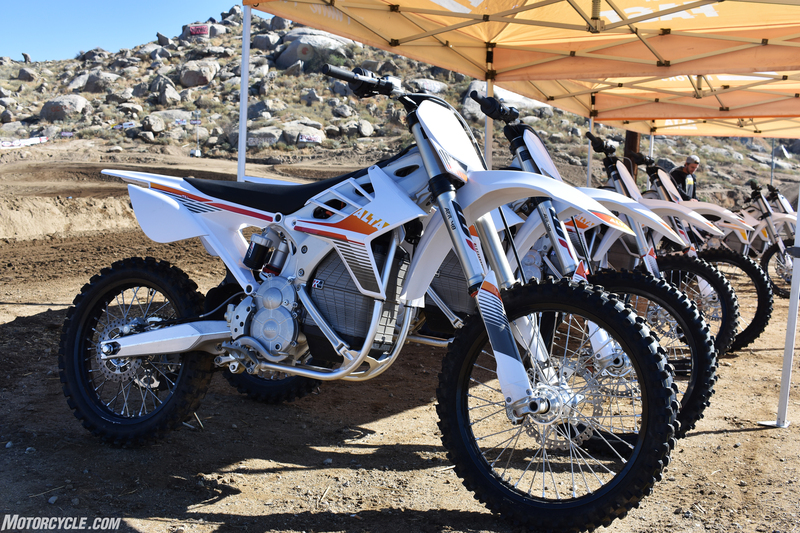 Two weeks ago we got the opportunity to ride the all-new Alta Motors 2018 Redshift MXR, as well as the Redshift MX for comparison. 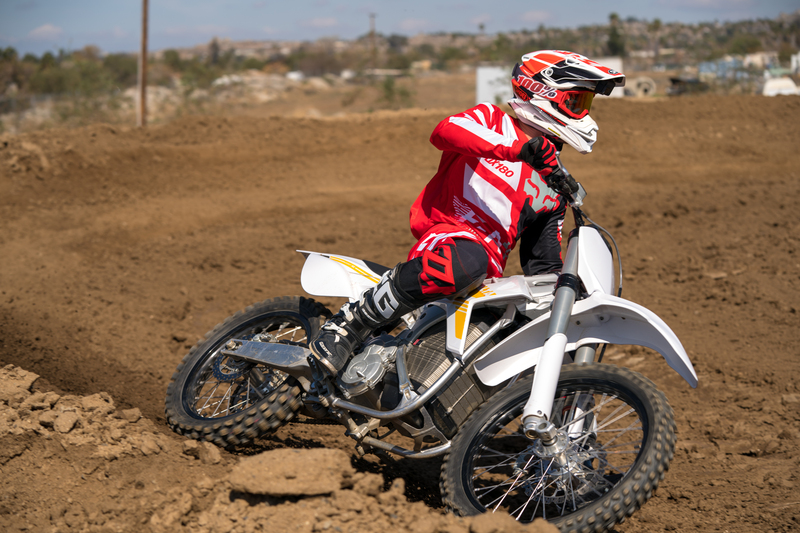 It was my first time riding an Alta, and an electric dirtbike for that matter, so I wasn’t sure what to expect. How easy would it be to ride and how would it compare to a regular gas-powered dirtbike? Well, as it turns out, they’re just as easy to ride (easier actually) and just as easy to crash, too! What I liked about both bikes was how intuitive the throttle response was and especially how much torque they delivered. With 120 and 147 ft-lbs available on the MX and MXR, respectively, goosing the throttle at any speed provided instant acceleration. Another feature that really stood out was how you could actually communicate with other Alta riders on the track or trail. The capability to talk to each other like that adds a whole other dimension to riding and makes it that much more fun. If I could compare riding the Redshifts to anything, I’d say they’re a lot like driving the electric go-karts at K1 Speed, or some other type of indoor go-kart racetrack, but faster. In other words, they’re a blast. If you’ve ever been to K1 or a similar track, you’ll know what I mean. Finally, riding the Redshifts, contrary to their name, means you don’t have to shift, which translates to more time to focus on line selection, body position and being smooth. After all, smooth is fast and fast is smooth. We’re excited to see what Alta does going forward. Like any other technology, it’s only going to get better with time. The bikes are going to get lighter, faster, more powerful, and given how quickly Alta has been able to reduce charging time just over the course of the last year, we’re sure that owning an Alta Redshift will become more of a viable and attractive option – or even alternative to a gas-powered bike. Please check out my complete first ride review of the MXR by clicking the link above or here, as well as the video below for a glimpse of what it’s like to ride and hear the Alta Redshift MXR in action!